After a long day of ceremony, dinner, dancing, throwing the bouquet and so one, everyone awaits the wedding cake. More and more modern couples decide not to have a typical wedding cake. They want something different and unique ! These nontraditional wedding cakes are more than enough to make your wedding day memorable. Whoopie pies aren’t just for kids; grown ups love them too. 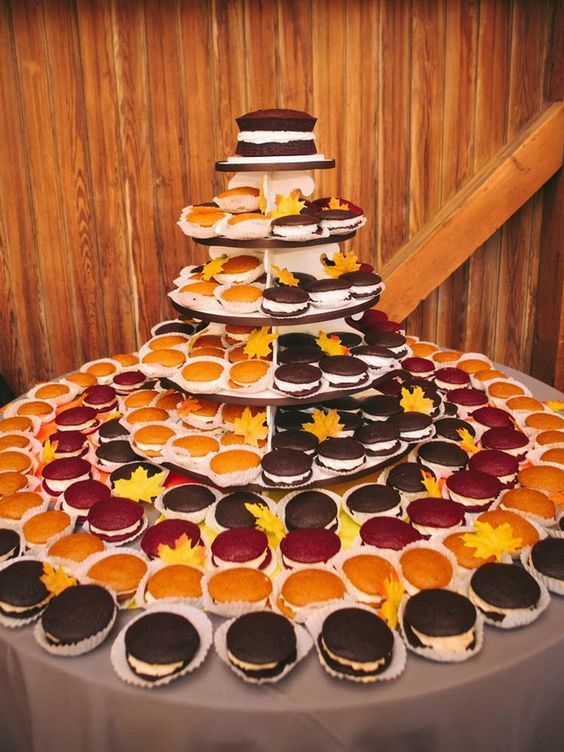 Home made whoopie pie in lovely fall colors could be a great modern wedding cake if stacked neatly.